Vacation and movies go together like popcorn and butter. There’s something magical about going to a movie while you are on vacation. No interruptions and full bucket of popcorn. Thumbs up. And when you can see a classic film or take the kids to a matinee for only $.25, the experience just got a whole lot better. Here’s where to snag screen time in Northern Michigan when you’re ready to just sit and stare. No judgement here, we get you. State Theatre: Renovated and reopened in 2007, this glowing staple of downtown Traverse City was originally built as the Lyric Theatre in 1923. 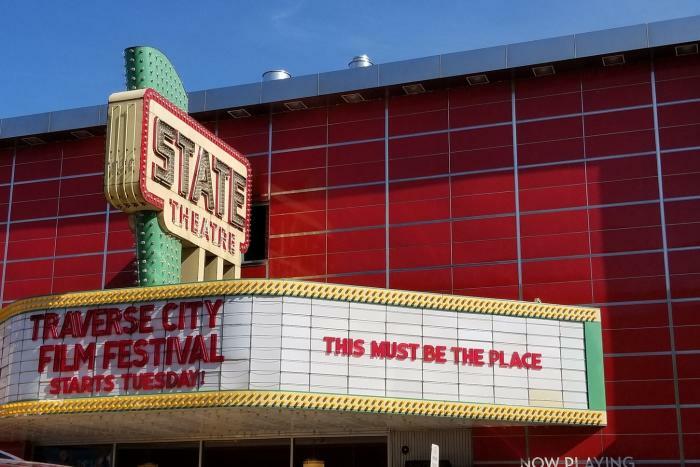 After two fires, the theatre was rebuilt with its current name and later on would be renovated to become the home of the acclaimed Traverse City Film Festival (July 31- August 5, 2018). Volunteer-run and a cultural hub of the community, the State hosts over 350 free and low-cost events every year. Our favorite are the weekly specials like the Friday Night Flicks (two tickets for $5), Saturday morning kids’ matinees and Wednesday classics for less than a buck (25¢), and annual traditions like the Academy Awards Party (complete with the red carpet and formal attire). For showtimes and listings check out stateandbijou.org. PS, don’t forget to check out the starry ceiling that illuminates the same constellations that you’d see outside on the bay! 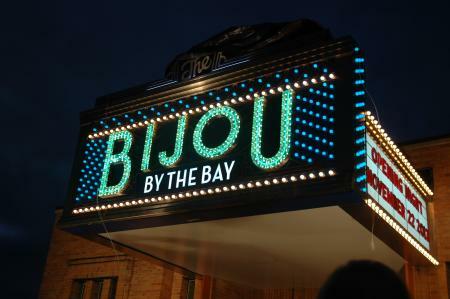 Bijou By The Bay: French for “little gem,” this museum-turned-theatre opened in 2013 just a block away from the State. Traverse City’s little gem accommodates 160 seats and is located in Clinch Park on West Grand Traverse Bay--- and even inside, you’ll still feel like you’re in the natural beauty of the north. Featuring large scale murals of Lake Michigan, your movie magic is surrounded by flying birds, crashing waves and rustic imagery. Thanks to the same team that revitalized the State, film fanatics have their choice of two theatres in downtown Traverse City. For showtimes and listings check out stateandbijou.org. Bay Theatre: Dating back to 1946, this single-screen charmer is just 20 minutes from Traverse City. The Bay underwent renovations for the second time in 2017, now boasting state-of-the-art digital projection and sound. Today the venue is also used for live music and theater in addition to its diverse film screenings. For showtimes and listings check out thebaytheatre.com. Elk Rapids Cinema: First opened in September 1940, the renovated cinema is now home to the world’s largest black light ceiling mural. And while movie goers enjoy updated technologies like the hearing assisted sound system, parents to little ones appreciate the original cry room still intact from the good ‘ol days. You can find the Elk Rapids Cinema in downtown Elk Rapids on River Street. For showtimes and listings check out elkrapidscinema.com.